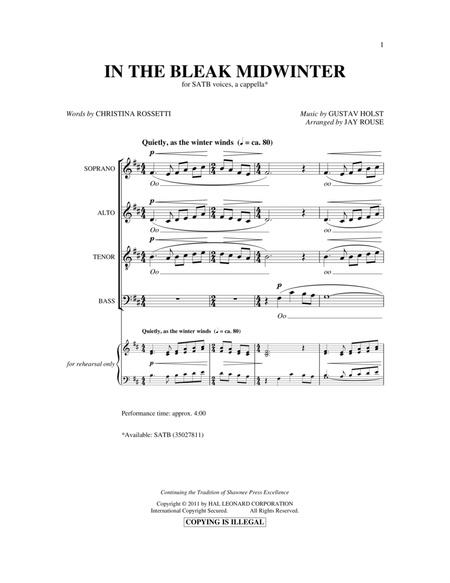 Composed by Christina Rossetti and Gustav Holst (1874-1934). Arranged by Jay Rouse. Choral. A Cappella, Concert, Festival, Poetry, Winter. 8 pages. Duration 240. 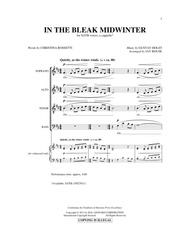 Published by Hal Leonard - Digital Sheet Music (HX.168148).